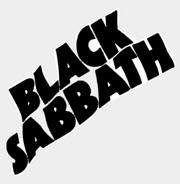 There is no secret that my favorite band of all-time is Black Sabbath. Recently, I took the time to pay tribute to the band by writing a lens about them on Squidoo. It details the history of the band from the Ozzy years to their current Heaven & Hell lineup. I will continue to add more to it as it is a work in progress. I hope you enjoy it.